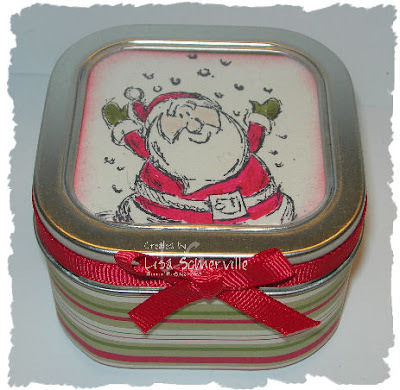 Wouldn't these tins make great gifts to have on hand to give to your holiday hostess! You can find the tins here at Specialty Bottle. Email me today to order your supplies to get started on your hostess gifts! This is too stinkin' cute, Lisa! I'm so happy I got this set...this Santa makes me smile! ADORABLE! !